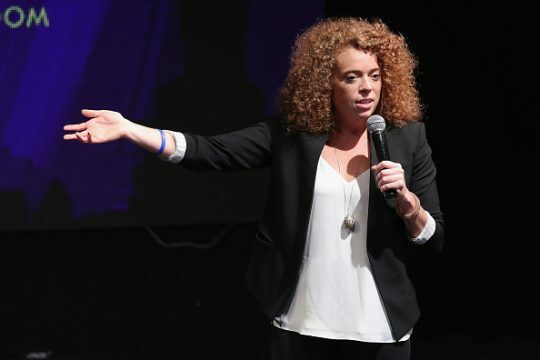 Liberal comedian Michelle Wolf's televison show on Netflix has been canceled after only three months. Netflix decided it did not want to renew her show, "The Break," due to a lack of viewership, according to the Hollywood Reporter. Additionally, Joel McHale's talk show was canceled. His show started in February. Wolf became well known after her appearance at the White House Correspondents Dinner drew criticism for her personal attacks on White House press secretary Sarah Huckabee Sanders. Wolf said she wanted to use her Netflix show as a place where viewers could "expect the types of jokes my former bosses would tell me we couldn’t do on TV." She had been a part of the "Daily Show" and "Late Night With Seth Meyers," both shows also known for their strongly liberal viewpoints. Wolf raised further controversy after a segment of hers compared Immigration and Customs Enforcement (ICE) to the terrorist group Islamic State and for another segment where she and others praised abortion. This entry was posted in Culture and tagged Hollywood, Netflix. Bookmark the permalink.